Such platinum hits as “Hello,” “Stuck on You,” and “All Night Long” made Lionel Richie one of the most popular recording artists of the 1980s. Now the multiple Grammy winner has embarked on another creative endeavor: designing and producing luxe tableware, which stems from his love of entertaining, a passion he attributes to his Southern roots. 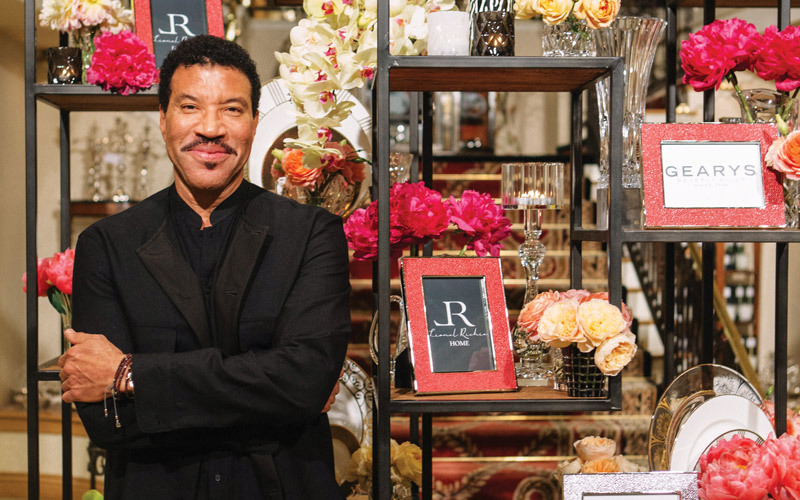 From the collaboration was born the Lionel Richie Home Collection, which includes vases, votives, faceted crystal barware, bowls with metallic borders, and bone china plates—all inspired by his travels. The styles span several periods, with art deco geometric touches, rococo flourishes, and clean midcentury modern lines.